You have the legal right to organize a union, under the federal National Labor Relations Act (NLRA)—or in some cases, a state law similar to the NLRA. It’s illegal for your employer to require you to discuss your feelings about NNOC/NNU or to discipline you in any way for exercising your right to join a union. Post NNOC/NNU materials on general purpose bulletin boards, distribute in mailboxes, etc. Most hospitals hire professional consultants (at a rate of $2000-4000 per nurse!) 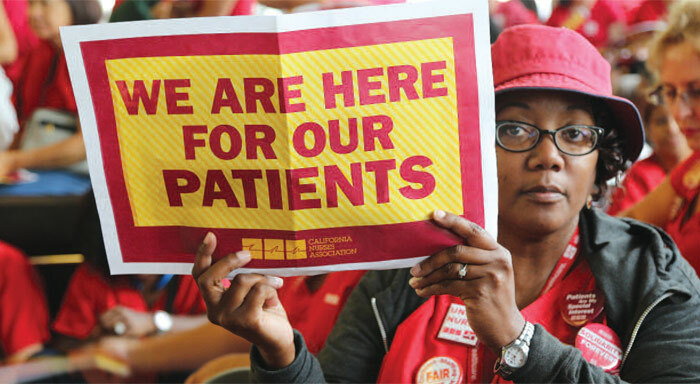 to try to stop nurses from organizing. Despite these efforts, RNs have won 90 percent of their NNOC/NNU elections. When nurses are united, they cannot be defeated!